So here is an updated list of some newer sites worth checking out. This site is run by All Japan Budogu so the standards of service are very high and their products are excellent. I've ordered some small bogu and they're well made and very flexible. The biggest sizes they make would fit up to a small 12 year old. Free shipping like all AJB sites, but prices are set in US dollars so currently we lose out on the exchange rate. Started by Andy Fisher and run from Kumamoto, AJB have created a small revolution in online equipment retailing. Their quality is high, their shipping is free and their service is fast and excellent. It was Andy who sourced Nanseikan's hitting dummy when it was not even a product they offered. They are good for bogu, shinai and kendogi/hakama. Prices are in US dollars (although they offer a currency calculator when browsing their site). A new site from AJB, they offer a completely different range of bogu to AJB, made in Miyazaki as opposed to Kumamoto. Their boast is that their bogu is 100% made in Japan from scratch. Prices are a bit higher than AJB, but in Japanese Yen, so the exchange rate is currently a little better. Free shipping. This is a relatively new site based in Japan and started by Blake Bennett, an ex-pat Kiwi Kenshi and little brother of Alex Bennett sensei, editor and founder of Kendo World. So the provenance is good! I haven't ordered from them but their products look good and they offer a high degree of customisation. Made in Japan. Bogu orders ship for free, smaller items attract a cost as far as I can see. 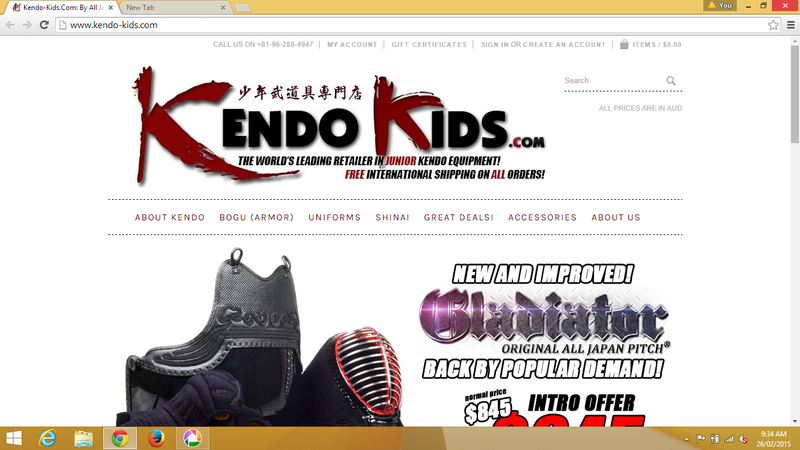 These guys are still important players in Kendo equipment online sales. They are based in Kyoto. Some of their products are made in Japan and some made elsewhere. Their range of products is massive and not just Kendo related. They also have Japanese cultural artefacts like Buddhist statues and Shinto shrines for sale. Also swords for iaido. Prices in Japanese yen and free shipping above a certain order value.